Crafty ideas and vintage finds. As I have mentioned in previous posts, we start out each week with an ABC Find It from 1+1+1=1. While we search for the matching images, we discuss the pictures and other words that start with the letter of the week. 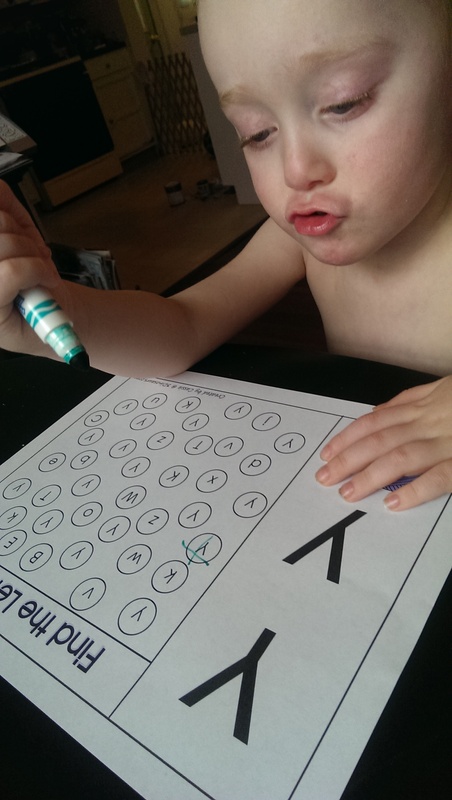 We also use Letters of All Sizes uppercase and lowercase handwriting worksheets from The Measured Mom. I include these in a binder with number writing worksheets from Confessions of a Homeschooler and a sheet with his name on it that I created. 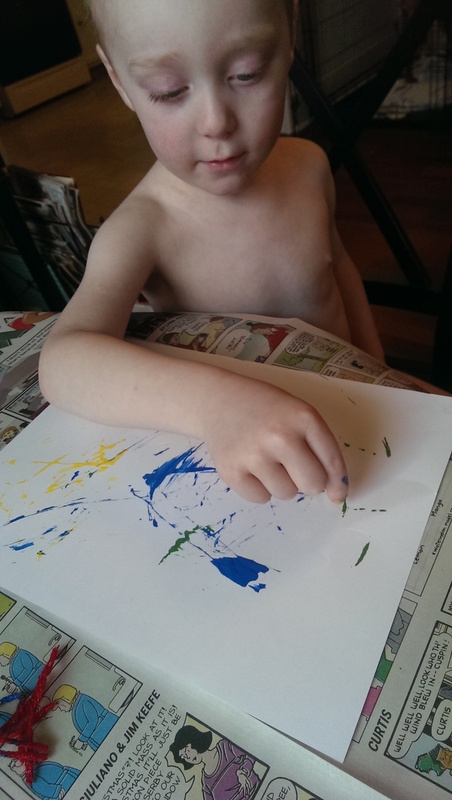 Each page gets its own sheet protector so he can practice writing with a dry erase marker. We started out with the “Y Book” from Education.com, followed by the site’s connect-the-dots lowercase and upper case Ys. Then we did a few pages from 3 Dinosaur’s letter Y printable pack. 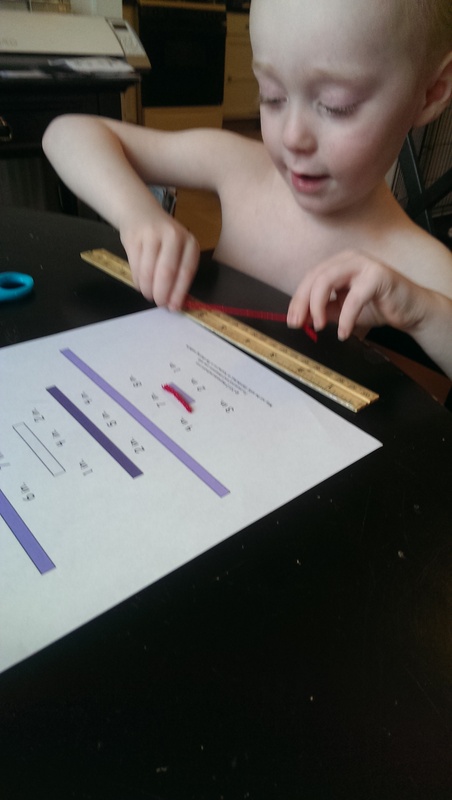 Then we incorporated some math into the lesson with The Measured Mom’s yarn measuring activity. The lesson wrapped up with some painting using pieces of yarn. This was little difficult for him and lost interest pretty quickly. The yarn didn’t hold up very well in the paint, so this isn’t something we would do again (I don’t think!). Hi! I'm Emily. I'm a writer, designer, and above all a mom! I love cooking, crafting, sewing, and scouring yard sales for unique items.